Learning about the pony and how to care for the pony , not just learning to ride . Five Sligo members made the long journey to Barnadown setting out bright and early Tuesday morning. On arrival conditions were bright and sunny and the stage was set for three days of excitement. First in action for Sligo was John Alfred O Connor who took part in the U12 challenge. He did a very smart dressage test on his well trained pony Sotee before doing a lovely clear round at the show jumping leaving Sligo hopes of victory very high after 2 rounds. However it was the xcountry that cost John Alfred any chance of a ribbon as he had one or two problems navigating the course. 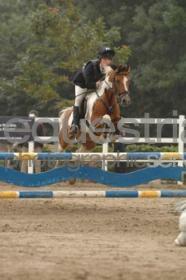 Elisa O Connor did her combined training in appalling conditions. 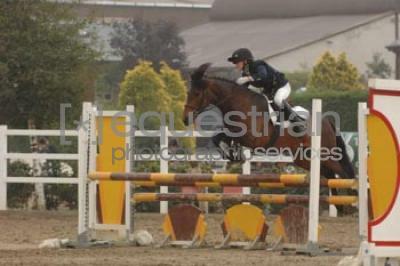 She did a nice dressage test and had one of the few clear rounds of the day at her show jumping. However in this event the standards were extremely high and despite a super effort from Elisa,she finished out of the placings. Next up on Wed afternoon was the 90cm Speed Derby. The course consisted of 17 mixed jumps( fixed and knockable). 21 riders took part in this fun competition. First up for Sligo was Keeva Mc Dermott on the smart looking “Kilglass Jimmy”, who put in a super effort coming home in a very fast time and just the unfortunate 4faults. Emily Burke and Black Beauty were next in and did Sligo Pony Club proud with a breathtaking clear round in a very fast time to take the lead in the event. 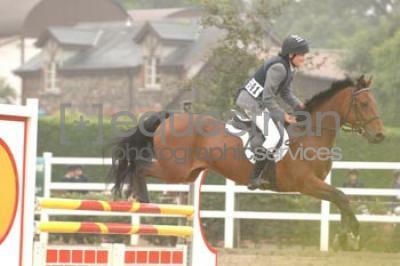 Isabel Burke went next and had a lovely clear round to put her in contention for minor honours. 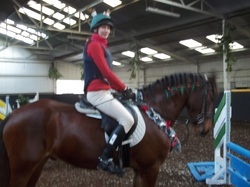 Elisa went next who as expected had a super time only to have a very unfortunate 4faults. With several riders from around the country still to go, and try as they did, it was Emily that prevailed for an enjoyable victory with her sister Isabel and Soldier finishing in 4th spot. Our Robbie Bailey team were all excited and ready to go for this major event on the Pony Club calendar. There were 35 teams taking part over 2 courses (Round 1-Round 2) with the best 3 scores taken from each team. The course looked natural enough but it became known from an early stage that it took great skill and judgement to get a clear round with many of the early teams having problems aplenty. Sligo were 23rd in the order to go and the 4 girls(Emily, Isabel, Elisa and Keeva) made it look easy and raised many eyebrows around the arena with 4 top class clear rounds going into Round 2. Only 4 out of the 35 teams achieved this. Sligo’s hopes were high at this stage but it was to be short lived as each of our riders unfortunately had 4faults in the 2nd round leaving our team on a total of 12faults. 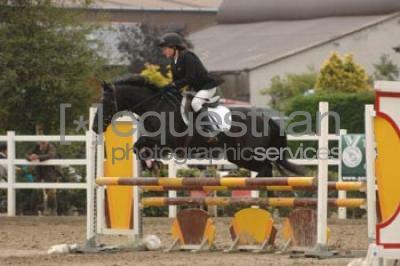 5 of the teams made it into the jump-off with Carlow coming out best after much excitement. 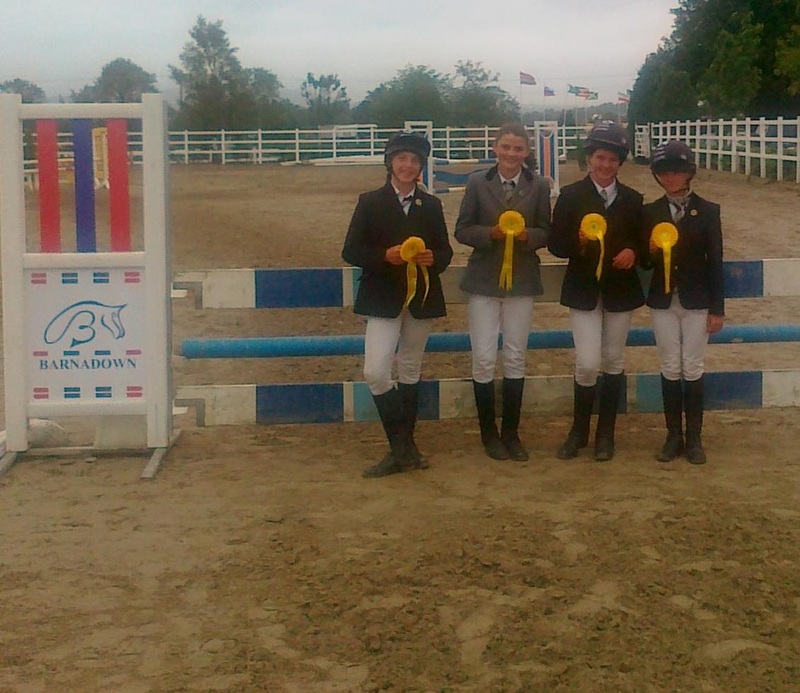 The Sligo team were awarded 3rd place overall in the Best Horsemanship section. This was a great all round performance from the girls who can hold their heads high following this achievement. Overall, a great time was had and alot of experience gained by all who travelled. Well done to Raymond, Martha and Felix for their input but more importantly well done and congratulations to Emily, Isabel, Elisa, Keeva and John Alfred for making this a successful trip to the Festival. Combined training and Robbie Bailey Team Event Event . Congrats to Keeva Mcdermott and Elisa Oconnor on winning their combined training at the qualifiers in Derry.A great achievement,well done.Also well done to robbie bailey team who came a very respectable 4th in their qualifier. Training Show in Kearins . There was a great turnout for the training show in Kearins on Sunday June 16th . There was a notable improvement in the standard of riding all round with clear rounds from the majority of the young riders in the cross poles and 50's . There was nail-biting excitement for the timed events as mere a fraction of a second made the difference between red and blue . The Chase me Charlie had the large crowd of spectators cheering as young John Alfred O Connor on Sooty took on the older more experienced riders . Sarah Hunter and Jennifer Burke set the standard with top class performances in higher classes . Minimus Training in Carlingtown Kells . Eala Mc Dermott and the Conlon sisters travelled to Kells over the May Bank holiday weekend to participate in the Meath hunt Minimus training event . The cross country had a main event and also a fledgling section for u10's.It took place on the Carlingstown course . The swim took place in Kells pool. The run was on the grounds of Headfort Primary School .Eala , participating in the main event showed great overall strength and potential with a very strong performance in all three events . Rachel and Emily ended up in the 3rd and 4th positions overall in the u10 competition but most important all three had a brillant time and a wonderful introduction to Minimus .Many thanks to the Meath Hunt for their hospitality and organisation . On St. Patricks day Longford Pony Club held thier annual hunter trial.A strong team of Jennifer Burke,Emily Burke,Issobel Burke,Elisa O'Conor,John Alfred O'Conor,Leanne Brett,Kate Anderson,Sara Hunter and Philip Hunter headed down from Sligo.It was a very succesful day despite the rain! as Leanne was 6th in her Novice Section and Elisa and Issobel came third in their Junior Pairs. The Christmas show is one of the highlights of the pony club year next to pony camp and this year was no different as it proved to be an extremely competitive day with different competitions varying from the Chase Me Charlie to the Accumulator.Fun and craic was to be had by all and almost everyone came away with a selection box of some sort, aswell as a tired pony! In Autumn of 2012 some of our members took part in C and C+ test training with Carla in Tubberbride practising both theory and riding elements of their approaching tests.As a result of the hard work and training we had two very successful test days. The annaghmore cross jump took place in early September and after being postponed because of bad weather it took place the following week end.It was a great success with riders from other pony clubs also coming to have a go at the challenging course whoch contained half cross country jumps and half showjumps.